"a presence that commands respect." 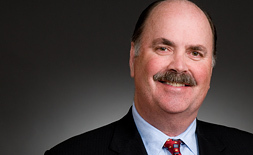 Michael O'Donnell is a founder and the chairman of Wheeler Trigg O'Donnell. His national litigation practice focuses on complex civil litigation involving product liability, professional liability, torts, class actions and mass actions, commercial litigation, and bet-the-company matters. Mike has appeared as lead counsel in state and federal courts in 40 states, and he has served as national trial and resolution counsel for numerous highly visible companies, including General Electric, Michelin North America, Advanced Bionics, McKesson, Boston Scientific, Guidant, Skyjack, and Pfizer. A Fellow and Officer of the American College of Trial Lawyers, Mike also served as Regent for the 10th Circuit from 2012 to 2016. He also served as chairman of the ACTL's Colorado chapter. He is a Fellow of the International Academy of Trial Lawyers and member of the American Board of Trial Advocates. Mike is a former chairman of The Network of Trial Law Firms, a 7,000-member lawyer organization that offers continuing legal education programs on litigation topics. Chambers USA ranks Mike nationwide for product liability and mass torts defense. Colorado Super Lawyers has ranked Mike the number-one lawyer in Colorado for seven years in a row (2013-2019) based on independent research and a survey of his peers--a feat no other Colorado lawyer has accomplished--and he has been named to its top 10 list every year since 2009. 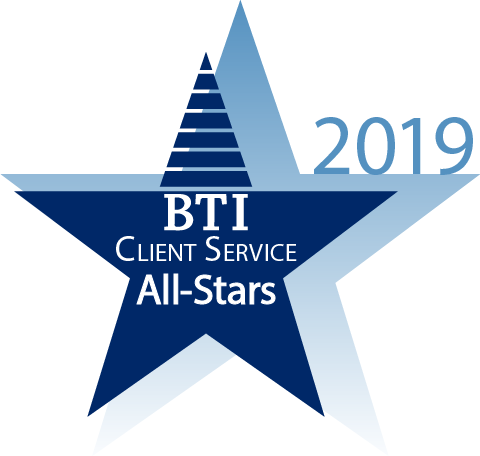 Best Lawyers lists Mike in seven litigation practice areas and named him "Denver Legal Malpractice Lawyer of the Year" for 2017 and 2011, and "Denver Product Liability Litigation Lawyer of the Year" for 2013 and 2012. In 2011, Law Week Colorado selected Mike as one of 10 "Lawyers of the Decade" and "Lawyer of the Year" in Colorado. In a survey conducted by Law Week Colorado in 2010, Mike was selected by his peers as the "Best Trial Lawyer" in Colorado. In 2012, Mike was honored with the University of Denver Law Outstanding Alumni Award which is presented each year to one DU Law graduate who has demonstrated professional achievement and humanitarian service to the community. In 2008, he became only the seventh defense lawyer to receive an award from the Colorado Trial Lawyers Association for the highest standards of competency, ethics, and professionalism. Michael O'Donnell has appeared as lead defense counsel in 40 states for class and mass actions, product liability, professional liability, and complex commercial matters for many of the nation's leading companies. Mike is a Fellow and national Officer of the American College of Trial Lawyers. He is nationally ranked in Chambers USA, and his colleagues and peers have voted him the #1 lawyer in Colorado Super Lawyers for seven consecutive years. In re Gadolinium-Based Products Liability Litigation, MDL No. 2868 (J.P.M.L. 2018) - As lead national trial counsel to GE Healthcare, defeated plaintiffs' attempt before the U.S. Judicial Panel on Multidistrict Litigation to create an MDL involving gadolinium-based contrast agents. Won a landmark federal case in Illinois defining the obligations of lead and liaison counsel in multidistrict litigation. Auto-Owners v. Summit Park, 886 F.3d 852 and 886 F.3d 863 (10th Cir. 2018) - Won complete affirmance in the Tenth Circuit of landmark rulings governing insurance appraisals. In two published opinions, the Tenth Circuit affirmed trial court rulings vacating an eight-figure appraisal award against the client, disqualifying for bias a national policyholder appraiser, and sanctioning the policyholder and its lawyers for misconduct in connection with the appraisal. Represented Denver International Airport in high-profile claims involving bid rigging and unfair competition relating to a $50 million terminal concessions contract. Auto-Owners v. Summit Park, 2016 WL 1321507 (D. Colo.) - Won order vacating a $10.87 million property insurance award and disqualifying a national property appraiser, and subsequently won sanctions against the policyholder and its lawyers, and won 99.7% of attorneys' fees and costs. Represented Denver International Airport against the Regional Transportation District in a dispute over cost sharing agreements involving a new rail line serving the airport. Served as national counsel to a global healthcare company in multidistrict litigation involving over 12,000 claims relating to dialysis products. WTO helped develop national resolution strategy, identified bellwether cases, and negotiated settlement of all claims. Represent a Fortune 10 company as national resolution counsel in hundreds of cases involving a medical imaging contrast agent alleged to induce a rare disease. Serve as national coordinating and trial counsel to a cochlear implant manufacturer for the defense of product liability lawsuits involving a Class III medical device used to treat hearing loss. Represented a Fortune 500 company as national trial counsel for hundreds of product liability claims and lawsuits involving a Class III medical device used to treat abdominal aortic aneurysms. Obtained summary judgment from a Texas district court in a case alleging WTO's client, a life insurance company, committed fraud and violated consumer protection laws. Secured a ruling from a California appeals court affirming the preemption of claims brought against WTO's client for its abdominal stent medical device. Moore v. Bertuzzi - Successfully defended the Vancouver Canucks NHL organization in a lawsuit brought by Colorado Avalanche player Steven Moore as a result of severe injuries he sustained during a hockey game. WTO obtained dismissal of the lawsuit on the grounds of lack of personal jurisdiction and forum non conveniens, and also obtained a six-figure award of attorney's fees and costs in favor of the Canucks organization and against Mr. Moore. Vastano et al. v. AT&T Wireless - Defended AT&T Wireless in a nationwide class action in Colorado state court involving the billing of wireless air time. Co-authored "New Strategies for Defending Professional Liability and Malpractice Cases," Best Practices for Addressing Professional Liability Claims (2015). "Managing Product Liability in the Americas," quoted in Financier Worldwide (September 2009). "What the Hail? Exposing Biased Insurance Appraisers," presented at the 28th Annual ACIC General Counsel Seminar Survey (July 28, 2017). "Dealing with Collusion and Fraud in Property Loss Litigation," Litigation Management in a New York Minute - 2016 Edition, presented by The Network of Trial Law Firms, New York, NY (August 5, 2016). "Dollars and $ense Negotiating the Pay Raise - Practical Advice from the Decision-Makers" presented at the Association of Corporate Counsel Colorado Chapter CLE and reception (May 12, 2016). Association of Corporate Counsel: Negotiating the Pay Raise, May 12, 2016. "Settling Strategies for MDLs: Getting Started, Setting Values, and Overcoming Obstacles," presented at the Mass Torts Judicial Forum in New York City (April 15, 2016). "Managing a Large Casualty Claim," presented at the Advisen Casualty Insights Conference in New York City (March 27, 2014). "The Trial of a Legal Malpractice Case," presented at the Aon Law Firm Symposium (October 12, 2012). "Unique Issues in Mass Torts," presented at University of Denver Sturm College of Law (November 7, 2011). "Negotiation," presented to MBA students at McGill University (October 12, 2011). "The Nuts and Bolts of Successor Liability," presented to CNA (February 10, 2011). "Ethics CLE: Avoiding Malpractice," University of Denver Alumni Weekend (October 14, 2010). "Settlement Negotiation Strategies," Continuing Legal Education Seminar (May 2010). "Strategic Management," University of Colorado at Denver MBA Program (February 2010). "Leadership and Strategic Management," presented to University of Colorado MBA Students (December 1, 2009). "Leadership," University of Colorado at Denver MBA Program (December 1, 2009). "Alternative Dispute Resolution," presented to CNA (March 2008). "Appellate Update on Colorado Law," presented to All Colorado State Court Trial and Appellate Judges (September 2007). "What In-House Counsel Want and How to Give It to Them," presented at The Network of Trial Law Firms (April 20, 2007). "Selection of Outside Counsel," presented at The Network of Trial Law Firms (April 29, 2006). "Pharmaceutical Torts Cases in Colorado," presented at Colorado Bar Association and Denver Bar Association CLE Ethical Consideration for Practitioners (November 3, 2005). "Punitive Damages," presented at The Network of Trial Law Firms (October 23, 2004). "Punitive Damages," presented at 27th Annual Conference of Colorado Defense Lawyers Association (August 20, 2004). "Campbell v. State Farm," presented at The Network of Trial Law Firms' Meeting (Apr. 2003). "Colorado Civil Justice League Legislative Panel," presented in conjunction with the American Tort Reform Association Annual Legislative Conference for State Coalition Leaders and Citizens Against Lawsuit Abuse (November 14, 2002). "Behold the Future: Emerging Areas Including Mold, Cellular Phones, MTBE, Chromium 6, and More," presented at The Future of Mass Tort Litigation in America (March 23, 2002). "Ethics and Professionalism in Client Relations," presented at University of Denver Law School (November 12, 2001). "Challenging the Admissibility of Medical Causation Opinion Derived From 'Differential Diagnosis - Application of Daubert and Amended FRE 702'," presented at The Network of Trial Law Firms (October 26, 2001). "Winning by Disqualifying Plaintiff's Experts," presented at The Network of Trial Law Firms (October 25, 2001). "Preventing Legal Malpractice," presented at Colorado Bar Association CLE Seminar and Torts Update (October 9, 1998). "Colorado Legal Malpractice," presented to the Colorado Bar Association Tort Law Update (1998). "Winning the Battle of the Experts," presented at Professional Education Systems Inc. (December 16, 1996). "Discovery," presented at Colorado Defense Lawyers Association (August 27, 1994). "Depositions: Strategies, Tactics and Mechanics," presented at Professional Education Systems Inc. (November 11, 1992). The Network of Trial Law Firms blog, "Super Lawyers Ranks Michael O'Donnell the #1 Lawyer in Colorado for Fourth consecutive year," March 15, 2016. Denver Business Journal, "Search Committee Formed to Find Federal Judge in Colorado," August 13, 2015. University of Denver Magazine, "Practice-Ready DU Law Grads are Building Colorado's Legal Community," December 15, 2014. Denver Business Journal, "Challenged Golf Fan Walks Tall for Kids," February 21, 2014. Denver Business Journal, "Overcoming Obstacles: Golf ‘Legend' Brings His Story, and a Check, to Denver," February 12, 2014. Law Week Colorado, "Denver Attorney Elected Regent of American College of Trial Lawyers," November 2, 2012. Denver University Law School, "DU Law Star Mike O'Donnell, JD '79," September 17, 2012. 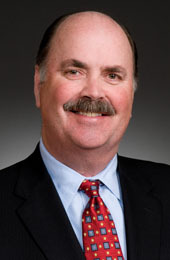 Law Week Colorado, "DU Law Selects Wheeler Trigg Chairman for Alumni Award," July 10, 2012. Denver Business Journal, "Wheeler Trigg O'Donnell is Rising to New Heights," June 8, 2012. Law Week Colorado, "Lawyers of the Decade: Michael O'Donnell," March 14, 2011. Law Week Colorado, "Wheeler Trigg O'Donnell's Michael O'Donnell to Chair College Again," November 25, 2009. Denver Business Journal, "Firm Knows Happy Employees Mean Happy Clients," November 22, 2009. Denver Business Journal, "Wheeler Trigg Adding O'Donnell to Law Firm Name," May 31, 2009. Denver Business Journal, "Law Firm Wheeler Trigg Adds Chairman O'Donnell to Name," May 26, 2009. Denver Business Journal, "Law Firm Focuses on ‘The Right Thing,'" November 23, 2008. Denver Business Journal, "O'Donnell Honored," July 20, 2008.